In Bali Safari there is an elephant museum, elephant shows, elephant riding, elephant cages, elephant stalls, and elephant souvenirs. The elephant's special area is called Kampung Gajah. Not only that, the most unique safari in Bali is also a place for processing animal manure, especially elephants, mixed paper waste into recycled paper. This article is used internally, for example to give a souvenir price tag. To see the activities of elephants bathing and interacting directly with them, please come to the Taman Ganesha area at 11:20 every day. In this area there is a statue of Ganesha and a replica of an elephant relief located on Mount Kawi. You can take pictures with a herd of elephants playing water. For those who like to listen to bamboo music or known as "Rindik" can visit the Barong Lobby. Besides listening, we can learn how to play it directly. It's an exciting experience. Rindik is one of the traditional Balinese musical instruments and is generally played for Joged Bumbung dance performances. For those of you who want to learn Balinese dance, at Bali Safari also offers the opportunity to try to learn Balinese dance. As for performances, you can see on Sundays and National Holidays at 12:30 in the Banjar Hall. Don't forget to have lunch at Uma Restaurant. In this restaurant you can taste typical Balinese cuisine. While enjoying food, you can watch Balinese dance performances. 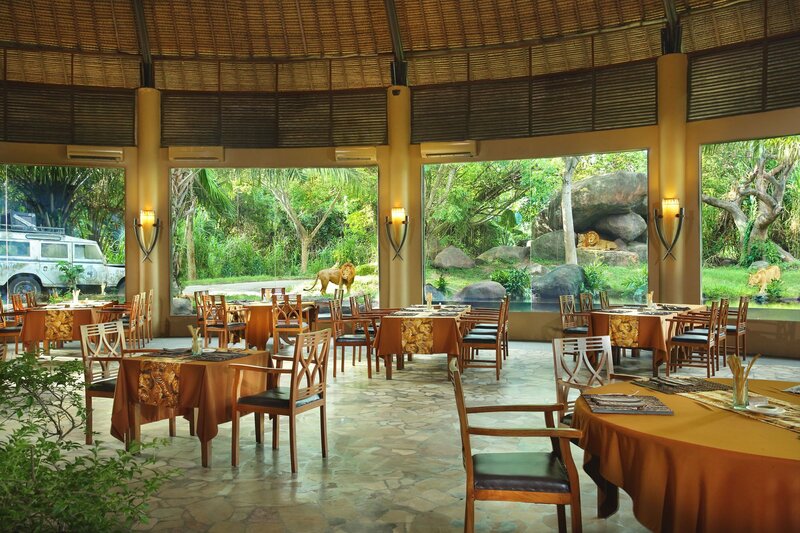 Or you can also have lunch at the Tsavo restaurant. This restaurant has a glass concept, where in front there is a view of a lion. At 1:00 p.m., visitors can immediately witness eating tigers. Taman Safari Bali is different from other safari parks, such as more diverse animal species and elephant attractions with some original Gianyar dancers. Elephant attractions are collaborating with ballet, called Bali Agung held at the Bali Theater. Ballet takes the story of the King's struggle at Kintamani who married a daughter from China. This story became the forerunner to the emergence of Barong Landung. Accommodation is also provided here for those who want to take a break to take off a tired safari or wait for the night. Night safari is an adventure to see animals from the bus at night. Visitors can experience more fun by interacting with animals, and are entertained by beautiful dance attractions performed by experienced dancers. You can stay in bungalows that are still in the Bali Safari And Marine Park area, Mara River Safari Lodge. 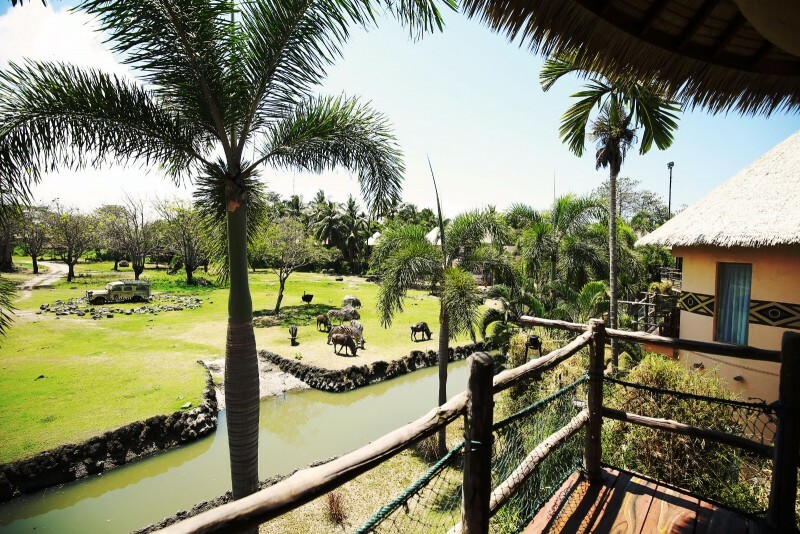 This is the first bungalow in Asia to be in the midst of nature and rare animals. Bali Safari Park also has water rides or water sports and various challenging rides. For those who invite children in Bali Safari And Marine Park there is also a zone of fun to entertain your children. Equipped with a seat belt, your children will be safe to enjoy this entertainment trip for about 3 minutes with several playgrounds such as Clumbing Car, Mery Go Round, Go Go Bounce, Jungle Cruise, Spinning Coaster, and Flume Ride. A trip full of Balinese arts and culture, visiting artisans and watching performances is part of this tour. The following is an existing activity package and you can choose directly for a reservation at Bali Safari and Marine Park . If you have interest to Bali Safari and Marine Park , you can freely add it as reference to your Bali Tours future plan.